NASA’s JunoCam has just taken this color-enhanced image when the Juno performed its 13th flyby of Jupiter. As indicated NASA the spacecraft was around 4,900 miles from the tops of the planet. “The North Temperate Belt is the prominent reddish-orange band left of center. It rotates in the same direction as the planet and is predominantly cyclonic, which in the northern hemisphere means its features spin in a counter-clockwise direction. Within the belt are two gray-colored anticyclones,” says NASA. 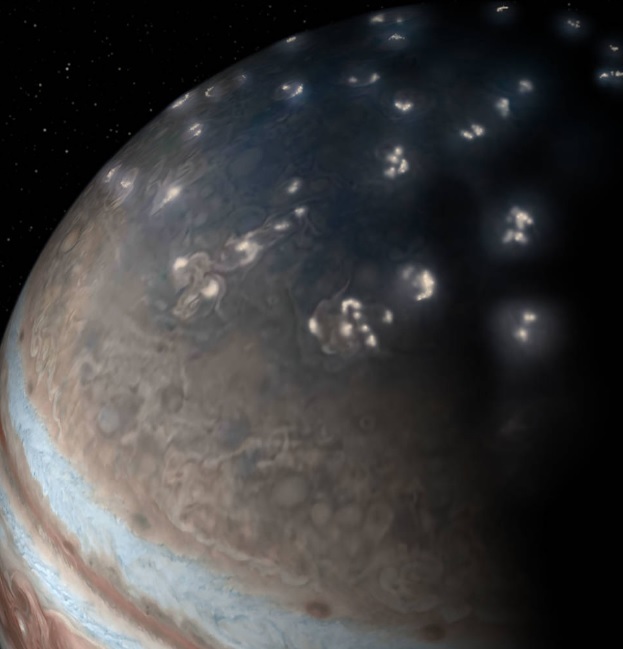 Scientists explain the origin of Jupiter lightning. 39 years old mystery is solved by NASA’s Juno mission. The Juno mission shows how Jupiter lighting is similar to Earth’s lightning. While, in some ways, the two types of lightning are polar opposites. NASA Juno spacecraft captured this extraordinary image. 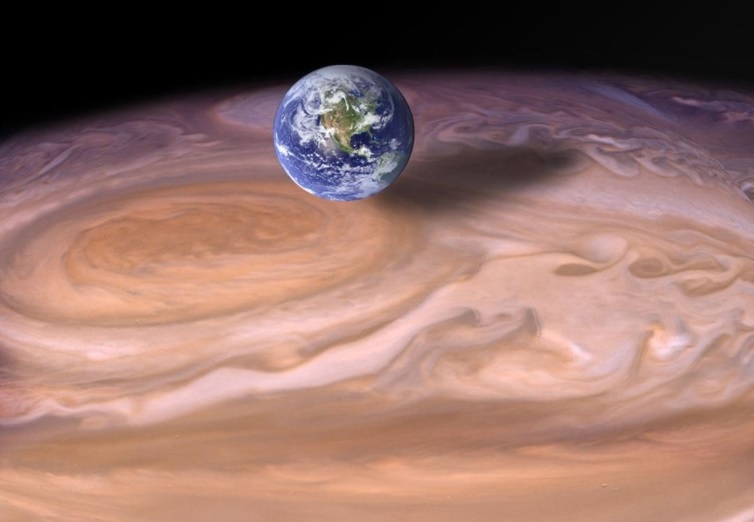 As NASA described “extraordinary view” was captured during Juno’s 12 close flyby of the gas giant. It was snapped on April 1, with the spacecraft coming as close as 17,329 kilometers (10,768 miles) to the planet during the flyby. Scientists working on NASA’s Juno mission to Jupiter shared a 3-D flyover video captured by NASA’s Juno spacecraft. Those are among the items revealed during the European Geosciences Union General Assembly in Vienna, Austria, on Wednesday, April 11. 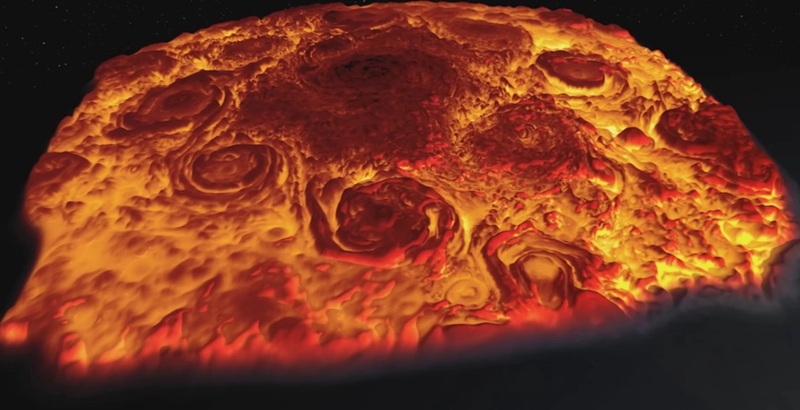 The data had been collected by Juno mission scientists of Jovian InfraRed Auroral Mapper (JIRAM). Imaging in the infrared part of the spectrum, JIRAM captures light emerging from deep inside Jupiter equally well, night or day. 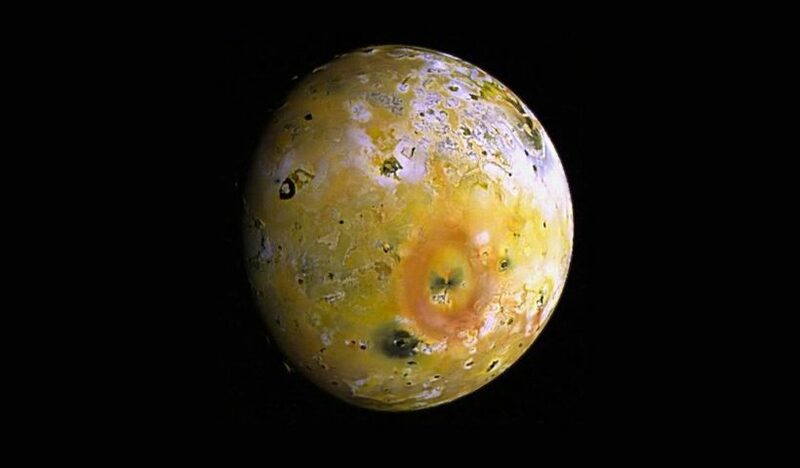 The instrument probes the weather layer down to 30 to 45 miles (50 to 70 kilometers) below Jupiter’s cloud tops. NASA’s Juno probe has been discovering more about Jupiter Internal Structure than ever before. It is about its internal structure. 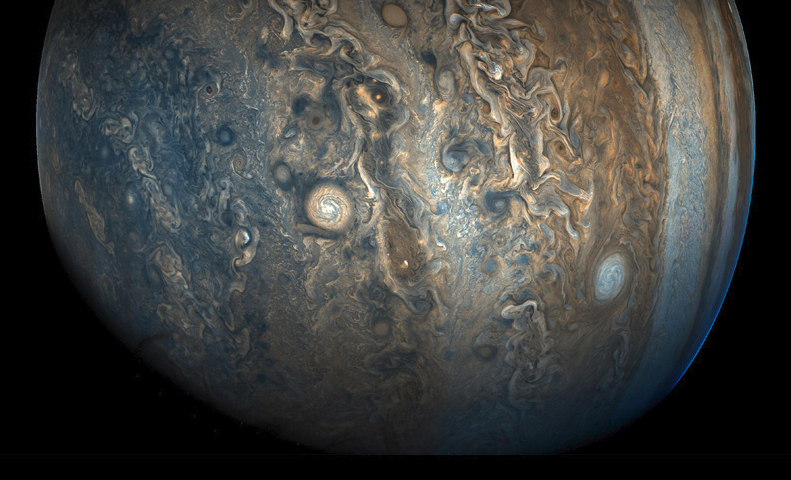 The $1.1 billion spacecraft, which arrived in orbit around Jupiter in 2016, has been studying variations in the gas giant’s gravitational pull. The probe’s latest discoveries point out that Jupiter’s wind-sculpted bands extend down over 3,000km. That’s on a planet which is 140,000km wide. “This solves a long-time mystery,” said Juno scientist Tristan Guillot. According to him that was all really important for understanding atmospheric dynamics, not just on Jupiter but on other gaseous planets like Saturn, Uranus and Neptune and also the exoplanets they were at that moment discovering. NASA’s solar-powered Juno spacecraft successfully refined its flight path Wednesday with the mission’s first trajectory correction maneuver. The maneuver took place on February 1. 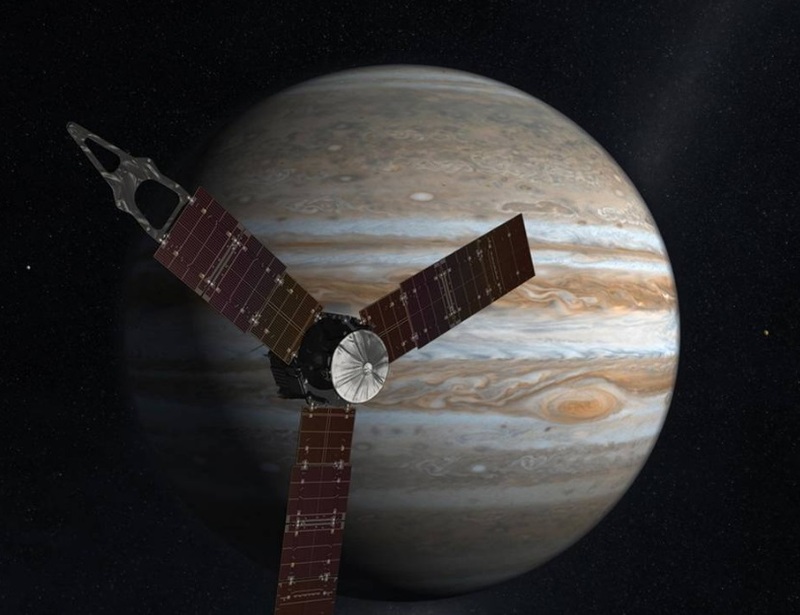 It is the first of a dozen planned rocket firings that, over the next five years, will keep Juno on course for its rendezvous with Jupiter. The trajectory correction maneuver, which adjusts the spacecraft’s flight path, began at 10:10 a.m. PST (1:10 p.m. EST) on February 1. 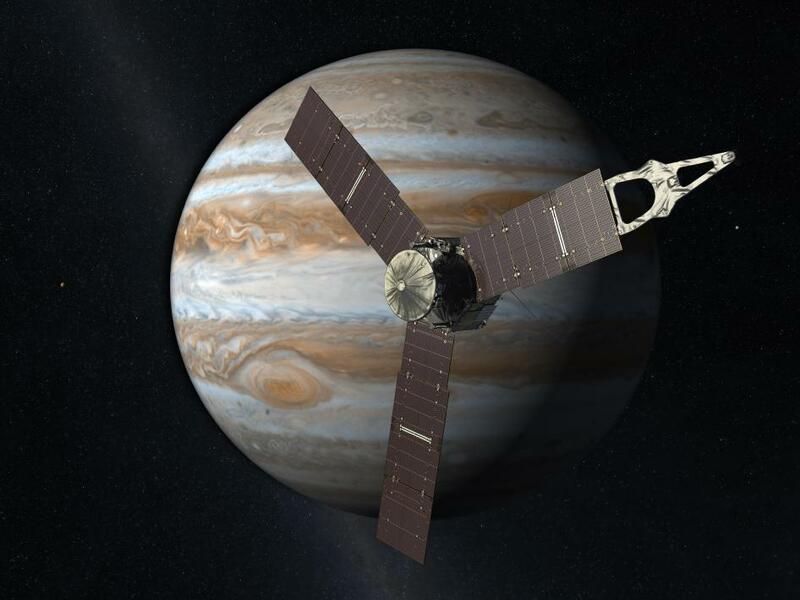 The Juno spacecraft’s thrusters fired for 25 minutes, consumed about 6.9 pounds (3.11 kilograms) of fuel and changed the spacecraft’s speed by 3.9 feet, or 1.2 meters, per second.